Good, Better, Best: Local Insect Spraying - Perelandra Ltd. Localized, on-the-ground insect spraying and broad aerial spraying of insecticides will soon begin in communities across the Northern Hemisphere. The further south you are, the sooner the spraying will start. Last year, record rainfall and flooding followed by extreme heat increased tick- and mosquito-borne diseases in the U.S. This year looks like it may repeat or surpass those numbers. Here are the Good, the Better and the Best options for using the Perelandra tools to support yourself and your family, plus suggestions for supporting your companion animals, land and garden from the adverse impact of chemical sprays. The sooner you implement the options, the better prepared you'll be. Take ETS for Humans daily from the day spraying starts until one month after spraying stops. Take one dose (10-12 drops), five times daily for the first two weeks. Then take it twice daily for the remainding time. 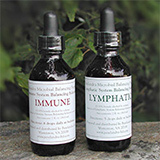 In addition to taking ETS for Humans daily, take the MBP Immune and Lymphatic Systems Balancing Solutions twice daily from the day spraying starts (or sooner if you can) until one month after spraying stops. Find out what chemical they're spraying. When you find out, even before spraying starts, do a PIC List Test with the focus: "The health effects of _________ (insert name of chemical) during this spraying." Continue all of the retests for this focus until you test clear. You will need to do a separate PIC List test for each member of your family as well. Note: You don't need to know PKTT and you do not have to own every bottle to test the PIC List and find out what you need! 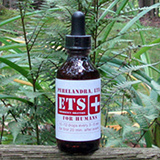 Give them one daily dose of ETS for Animals. Start as soon as you find out they will be spraying in your area and continue until one month after the spraying has stopped. Or you can do a PIC List test for your animals. You will need to test a separate PIC List for each companion animal, herd or flock. See page 23 of the PIC Brochure for more about this. Release one daily dose for each of the following: ETS for Soil, ETS for Plants, ETS for Atmosphere and Essence of Perelandra (EoP). Use the Nature Shift Application Process (see below) and do this daily for each Solution. Start as soon as you find out when spraying is to begin and continue the daily release until one month after spraying stops. Important: You may only do this for land you own or rent. You cannot impose yourself on property that belongs to others. Focus your attention on the environment you wish to address, and state: "I wish to set up with nature to shift ________ (name of Solution)." Wait 10 seconds. Define/describe the purpose of the shift. Write it down. Then say aloud: "The effects of ________ (name of chemical) during this spraying." Place the correct number of drops of the Solution in a clean spoon. Follow steps 1-4 for each Solution separately. Do not mix the Solutions. Hold the spoon out in front of you and say: "I wish to shift these ________ (name of Solution) drops to ________ (environment) for the purpose that I've described." Hold the spoon out in front of you for 10 seconds. The shift occurs automatically. After 10 seconds, the shift is complete and you are finished. You can empty the drops into the sink and wipe off the spoon with a clean paper towel. Nature did the shift for you, so you might want to give a little tip of the hat to nature and say thanks before moving on with your day! Another Option: If you choose to do a PIC List test for your land in place of the Nature Shift Process, use the focus given in step 2 above: "The effects of ________ (name of chemical) during this spraying."